The Fjallraven Womens Skogso Jacket is perfect for shutting out the mountain wind and hike in a pleasant climate - not too warm and not too cold. 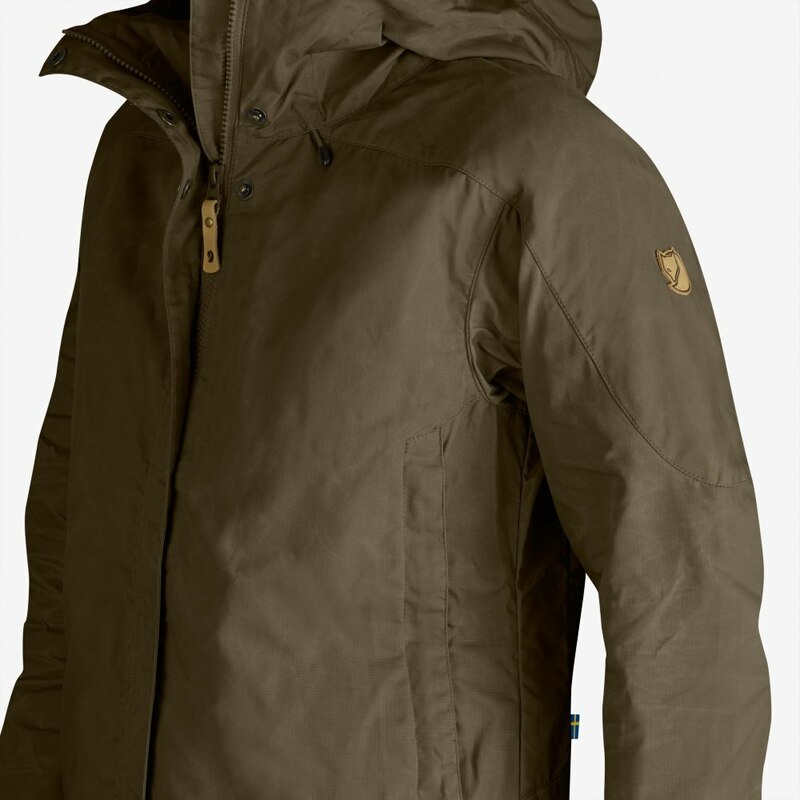 The Skogsö Jacket is a lightweight, comfortable outdoor jacket with a slightly longer back section that keeps the lower back warm. 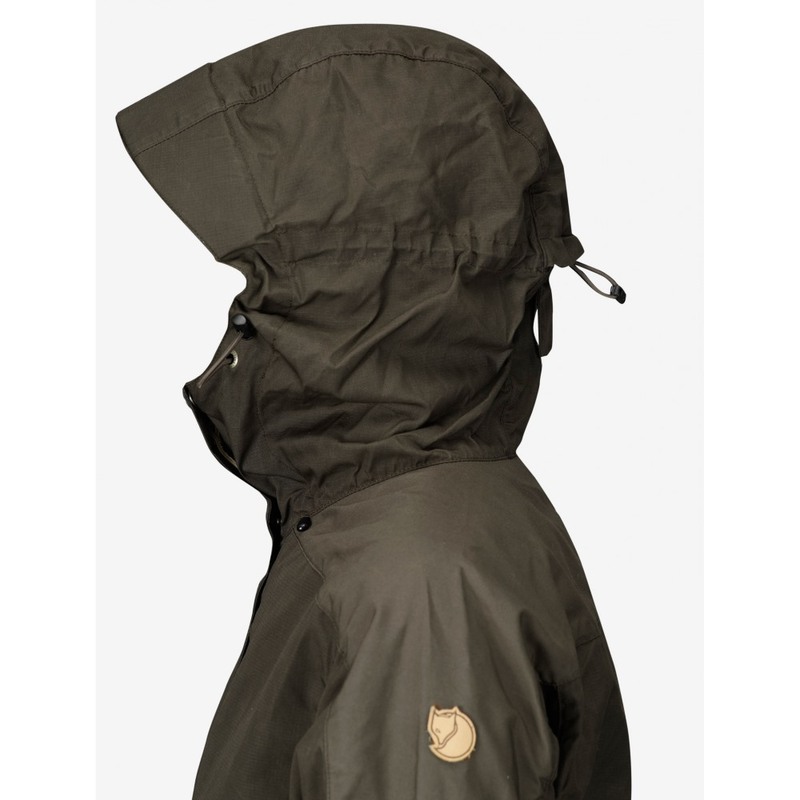 It protects you against wind and light showers, at the same time that the material provides good breathability; this means you will not get as sweaty as with an entirely waterproof garment. 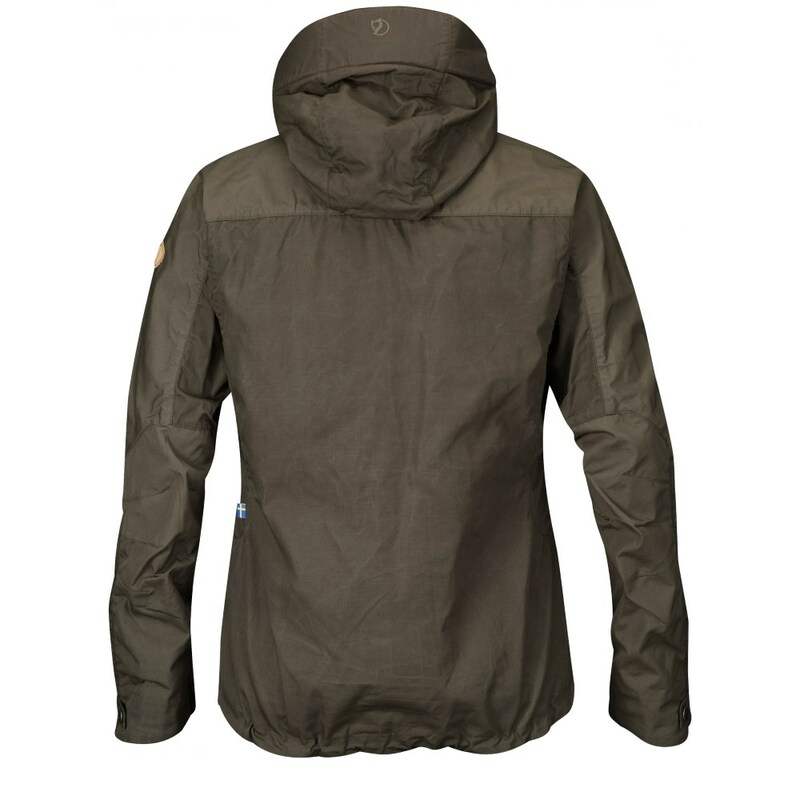 The material is G-1000 Lite with G-1000 Original on the shoulders. 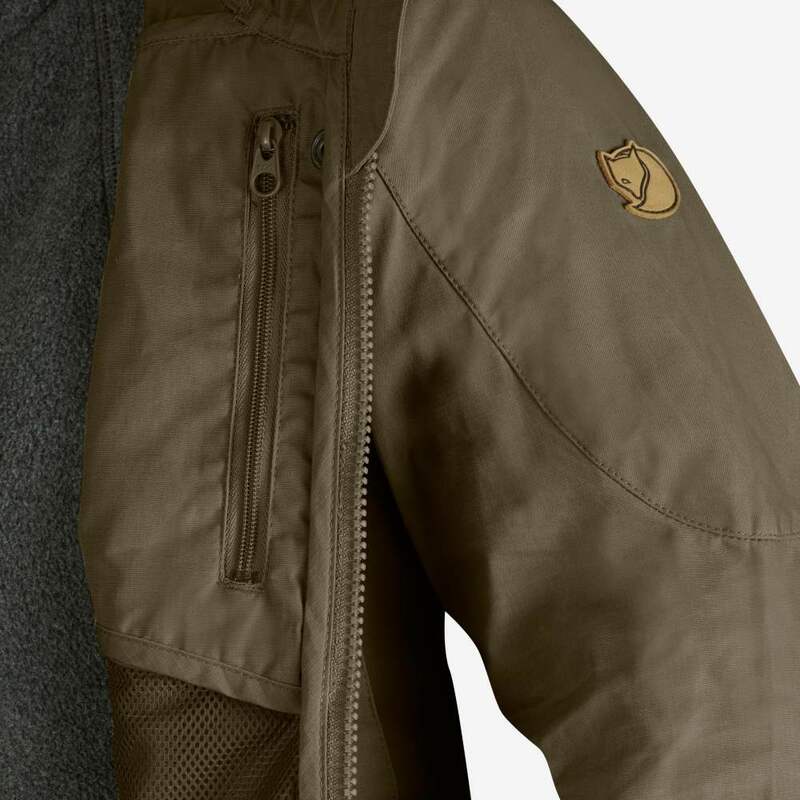 There are no seams on the shoulders and the side seams have been moved forward, which reduces the risk of chafing under the backpack's shoulder straps and hip belt. Two large side pockets with mesh on the inside for ventilation, and a zippered inner pocket for valuables. Three-way adjustable hood with sturdy visor. Two-way zipper behind a protective flap that has push buttons at the hem, in the middle of the chest and at the chin. Adjustable hem and push buttons at the sleeve cuffs. 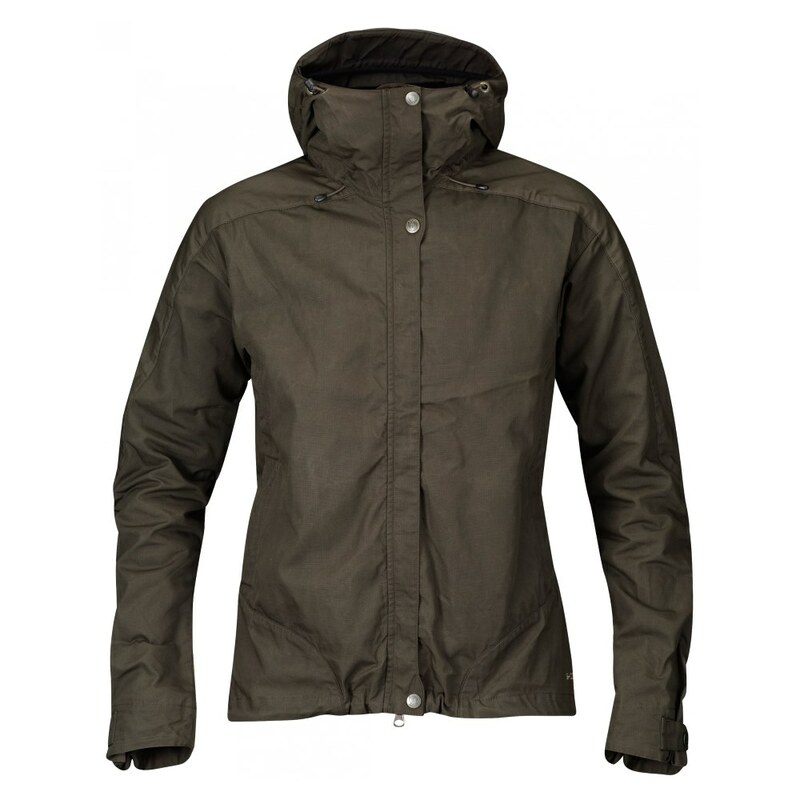 A perfect outer layer when trekking, biking and doing other fun outdoor activities.